Thanks to everyone who participated in the 2014 Wildflower Tournament! If you haven’t yet done so, please share your photographs by any of the ways outlined on this Photo Sharing Options page … then mark your calendar for next year’s Wildflower Tournament on Saturday, April 25, 2015! 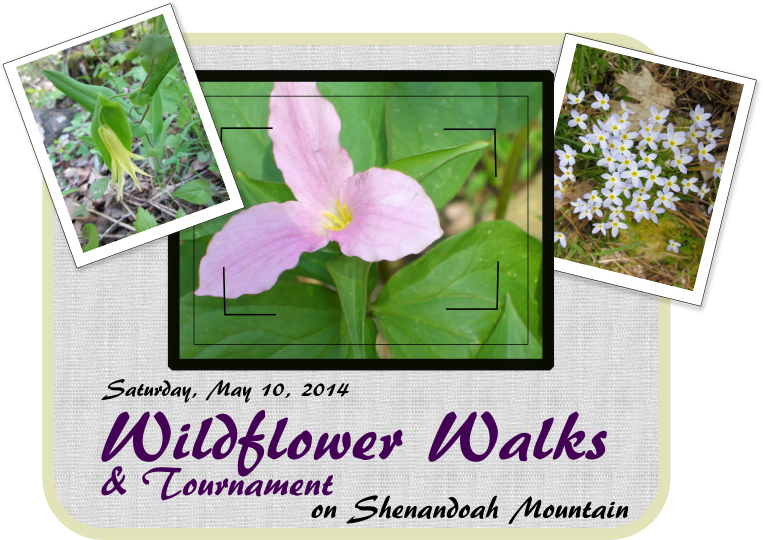 Please join the Headwaters Master Naturalists and their collaborators, Friends of Shenandoah Mountain, and the Virginia Native Plant Society – Shenandoah Chapter, for a Spring Wildflower Tournament. Come out and see the spring wildflowers on Shenandoah Mountain in the George Washington and Jefferson National Forests! Join one of four groups that will be accompanied by a member of the Headwaters Master Naturalists for a walk (or drive) in the forest. Find and photograph as many different species of wildflowers as possible. Everyone will experience first-hand some of the incredible biodiversity that Shenandoah Mountain has to offer. The group with the most species of wildflowers wins! Watch for postings of our favorite of your spring wildflower photos on our front page throughout the month of May and featured on the website of The Friends of Shenandoah Mountain. Sign up by time and place using the form below or our contact information. There will be two options of places to visit at both 10:00 am and 1:00 pm on Saturday, May 10. Registration is now closed for the tournament. Please click on and read The Waiver for All Participants. You may either print, sign, and bring it with you to your hike or be prepared to sign a copy provided to you at your trailhead before your hike begins. Please let us know of any special concerns here. Waiver Acceptance(required) By checking this box I acknowledge that I have read the waiver and accept the risks involved in participating in the Wildflower Walks and Tournament. I will either bring a signed copy to the event or am prepared to sign one provided. 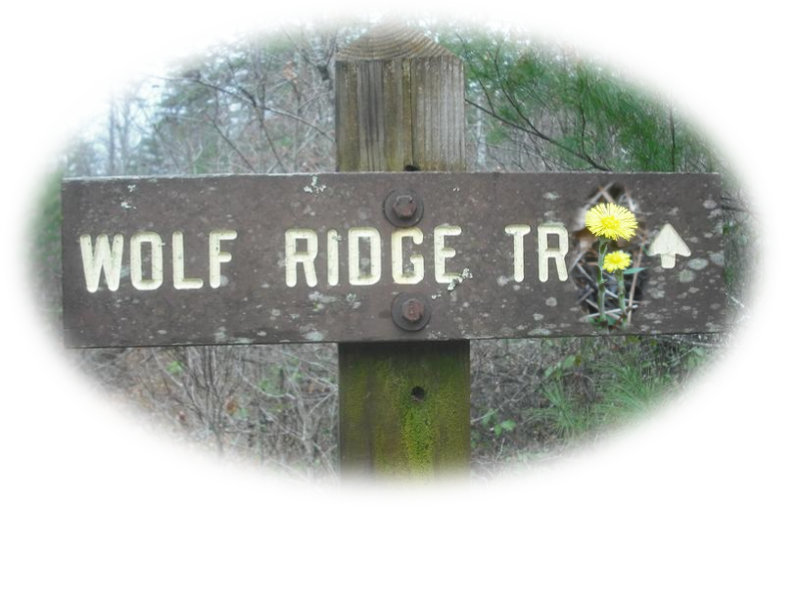 Click on image above to find Google map of trailheads.